Islands - Finished Jewelry Box! 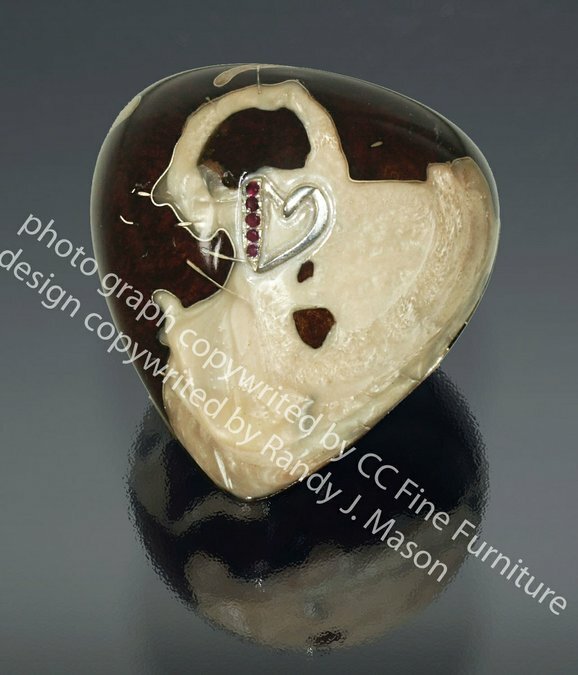 A one of a kind hand-made, heart-shaped jewelry box. 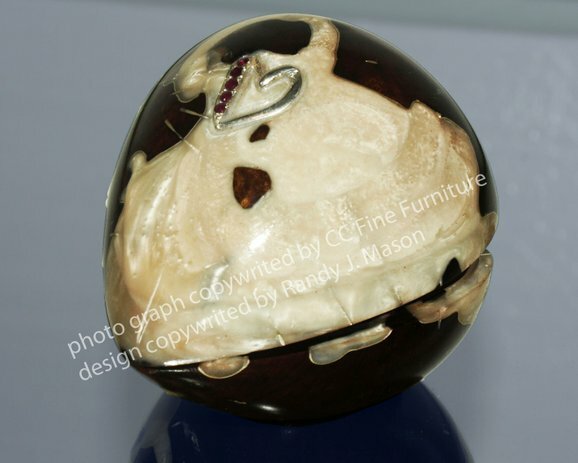 This custom made, large ring box is turned from a Manzanita burl (number 5 on the wood density scale). This is the only piece I make that starts with a chain saw and ends with a high gloss. The piece was first turned on a lathe. The natural voids have all been hollowed and then lined in pure silver. The voids were then filled with a resin colored to an off white/ pearlescent to achieve the cloud effect. 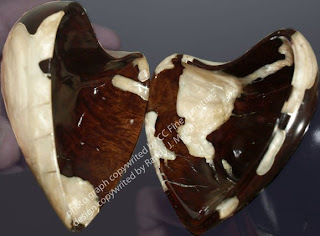 The entire piece was then hollowed by hand before finishing. A custom made silver heart with 5 Garnets was then inset into the top.